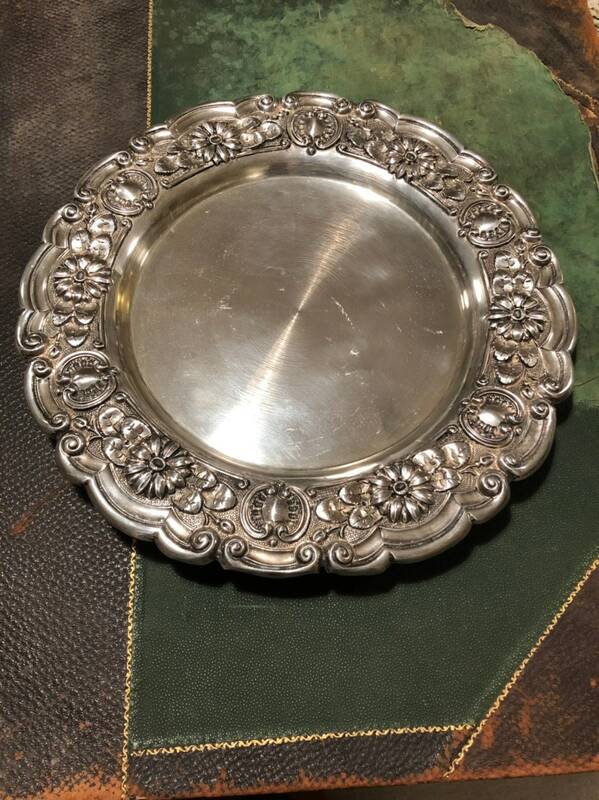 A stunning and handy little solid silver serving tray crafted in Portugal, probably in Porto. 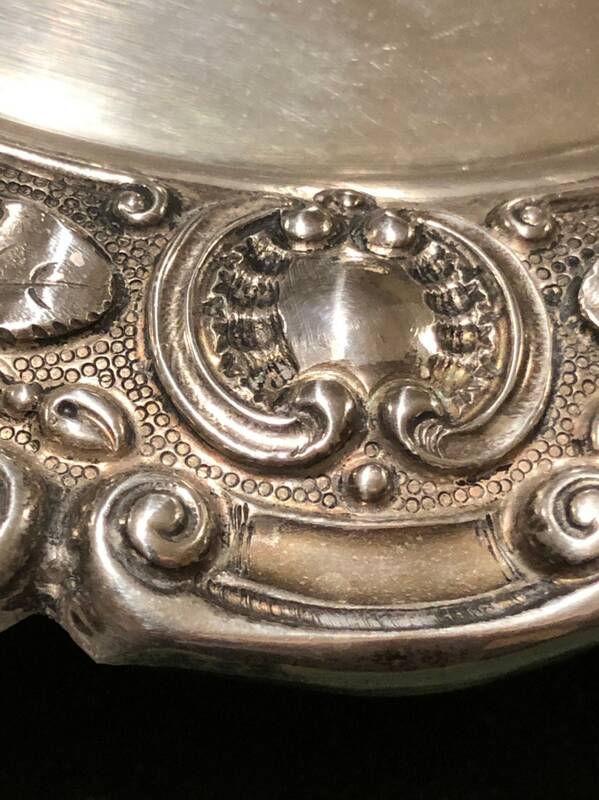 A perfect example of the sumptuous repousse work so typical of Lisbon silver makers. 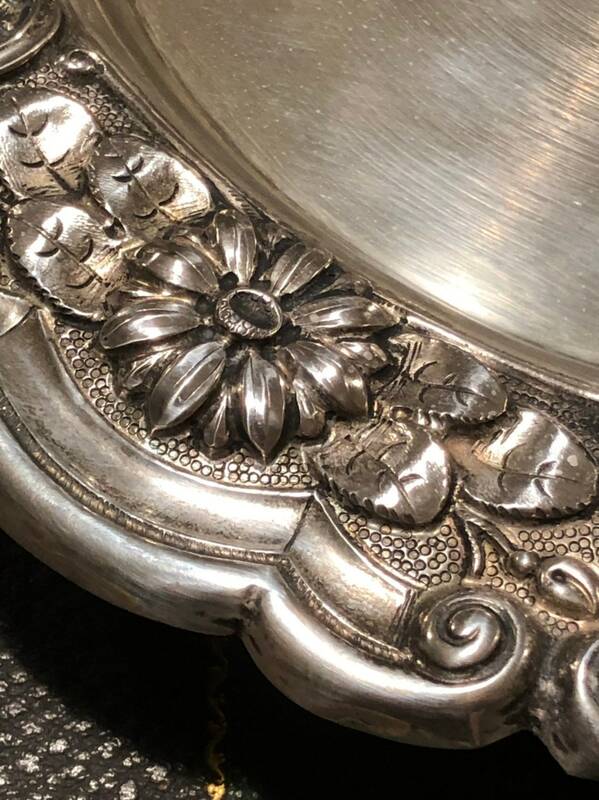 The tray features a spun plate that is bordered with a drop dead gorgeous cast rim with Gerber Daisy motifs and shields within silver scrolls. 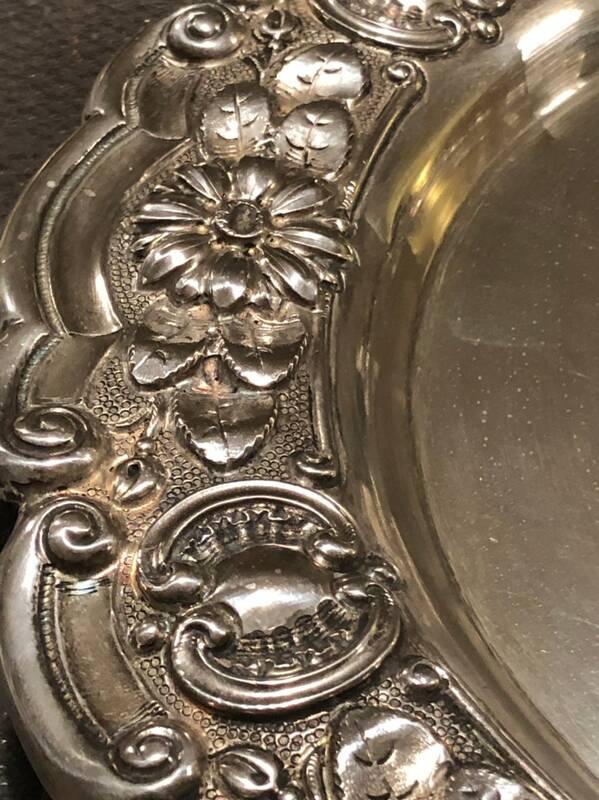 Four feet with a rose motif make the base. 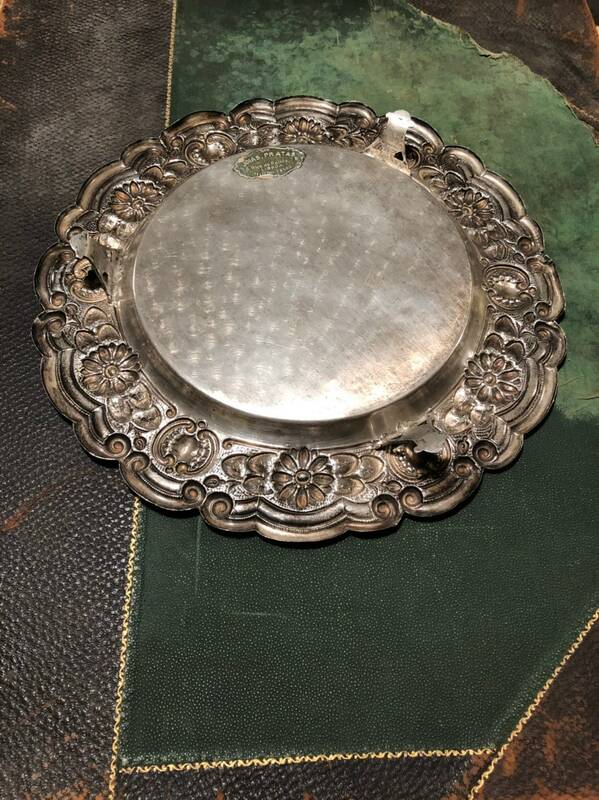 Condition is very good with some small signs of wear and use. 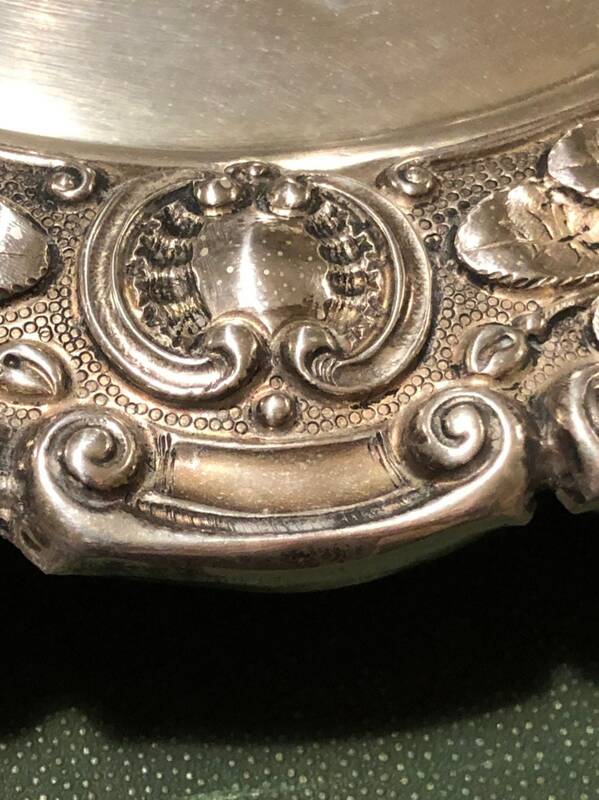 At the extreme outer part of the rim, the piece is twice marked. 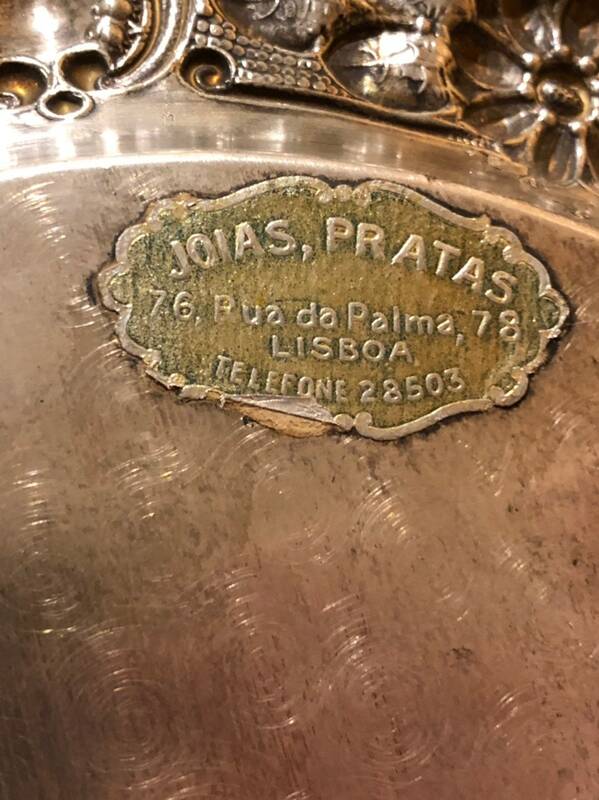 One mark is the Portugal eagle and the 833 mark. 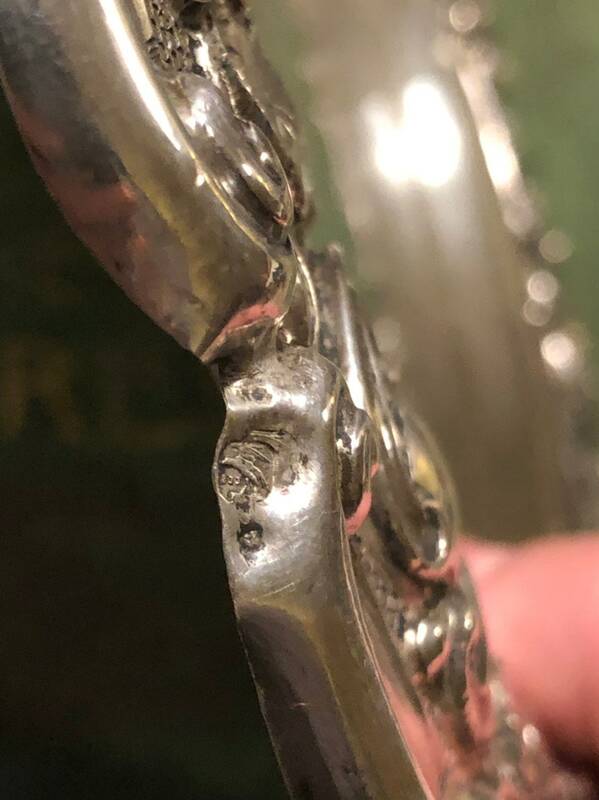 the second mark is less clear but looks to be xxxxxxx cartouche. 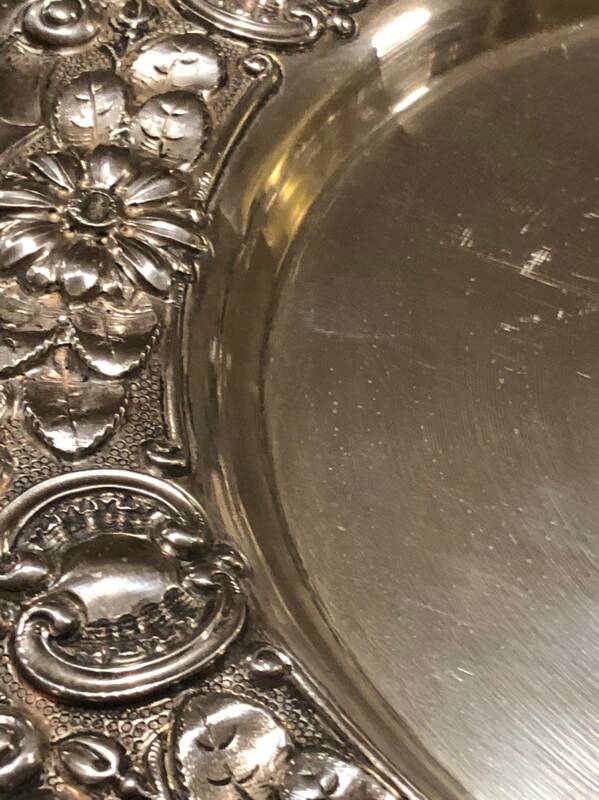 A light but well constructed gauge of silver makes this little tray sure to catch attention whether used on the table or in the home. 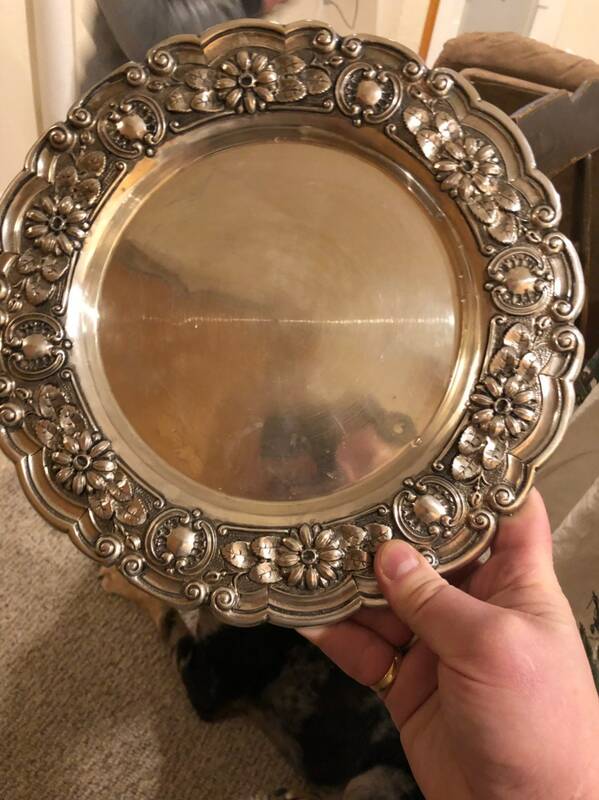 11" across and 1.25" tall.